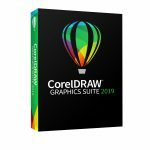 Win a FREE copy of Corel 2019 Graphics Suite! We have a wide range of Rhinestone Supplies! We can provide all your ink needs! Number Machines, Numbering machines are perfect for Commercial print shops and in-house Printers. If you have a needs for numbering invoices, tickets, etc. 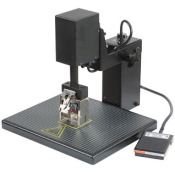 This will allow a fast and easy way to get the job done, we offer, table top and floor, and high production numbering equipment. Carrying, Count, Graphic Whizard, Lassco, MBM, Standard and more. View cart “Graphic Whizard Junior Numbering Machine” has been added to your cart. Established in Birmingham Alabama in 1988 as a reseller of Itek cameras and offset duplicators to Commercial and In-house printers, SEPS Graphics today sells and services a broad range of equipment and supplies to a diverse and evolving customer base which includes, Direct to Garment customers, offset printers, digital printers, photographers, Sublimation Customers, screen printers, Engraving Customers, Rhinestone customers, Sign Printers, mail houses and paper handlers.